During a live interview with Barry Ritholtz for his “Masters In Business” podcast on Monday, Bridgewater Associates CEO – who has been on a seemingly never-ending media tour to promote his new free e-book “A Template For Understanding Big Debt Crises” – once again expounded upon his “1937” markets thesis: That is, his theory that the US economy increasingly resembles the late-cycle dynamic from the 1930s where equity prices topped out as the Federal Reserve tightened monetary policy. Like the 1930s, the global economy is awash and debt, and populist politicians gaining power and influence in the West. Breaking the tie between oil and the U.S. Dollar means the collapse of the U.S. Dollar as the world reserve country. Collapsing of the U.S. Dollar as world reserve currency means the collapse of America. Ghadaffi attempted it, as well as Saddam Hussein and look how that worked out for them. Iran, Syria, China, Russia all want to. Economic warfare always precedes a hot war, in case you were wondering what’s around the corner. One month ago, the bond market and political pundits did a double take when according to the latest Treasury International Capital report, Russia had liquidated virtually all of its US Treasury holdings, selling off the bulk of its US government bonds in just two months, March and April. In recent months, Russia – some claim – has “strenuously prepared for Putin’s meeting with Trump”. Regardless of how it all plays out, the U.S. Dollar hegemony is under threat. There is indeed a replacement system ready to go, with America out of the picture. There is an alternative to the Dollar. There is an alternative to SWIFT. There is an alternative to the IMF and the World Bank. America, for all its greatness, is not untouchable. If nothing else, the Chinese have a sense of history and destiny. They have had a glorious past, stretching back millennia, and once controlled most of the Asian heartland in the days of Genghis and Kublai Khan. But even then, China was essentially inward-looking, protecting her own cultural values. Trade with Europeans in the centuries following Marco Polo’s visit was mostly at the behest of European travelers, not the Chinese. She exported her art and culture to visitors, and did not import European values. 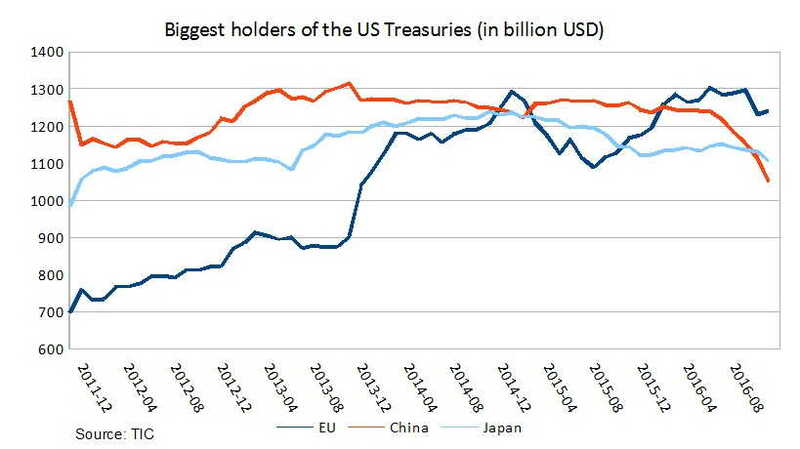 EU, not China or Japan, is the biggest US Treasury holder. And this is not a good sign. 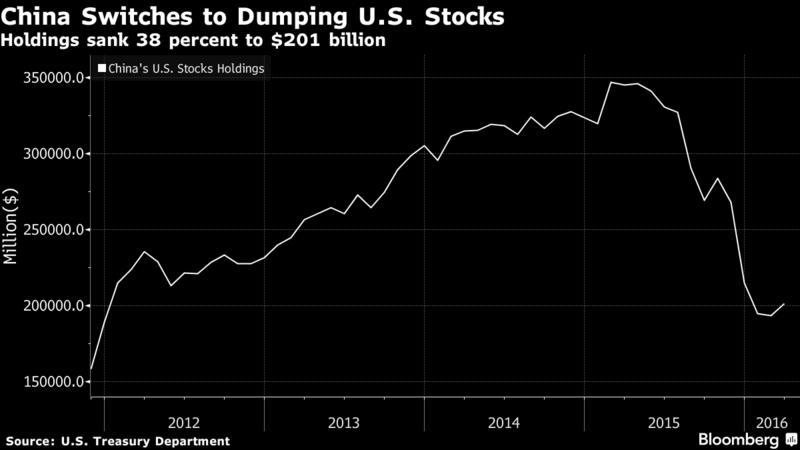 One month ago, when we last looked at the Fed’s update of Treasuries held in custody, we noted something troubling: the number had continued to drop sharply, declining by another $14 billion in one week, and pushing the total amount of custodial paper to $2.788 trillion, the lowest since 2012. One month later, we refresh this chart and find that in last week’s update, there is finally some good news: foreign central banks finally bought some US paper held in the Fed’s custody account, which following months of liquidation, rose over the past two weeks by $23 billion, the biggest two-week advance since November of 2016, pushing the total amount of custodial paper to $2.816 trillion, the highest since early October. The Government Will Never Let It Happen! In other words: China has officially entered the currency wars. 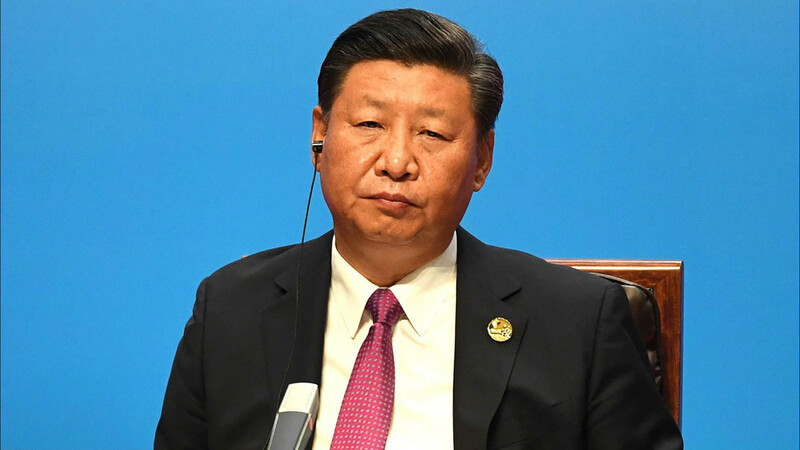 China devalued the yuan by the most in two decades, a move that rippled through global markets as policy makers stepped up efforts to support exporters and boost the role of market pricing in Asia’s largest economy. The central bank cut its daily reference rate by 1.9 percent, triggering the yuan’s biggest one-day drop since China unified official and market exchange rates in January 1994. 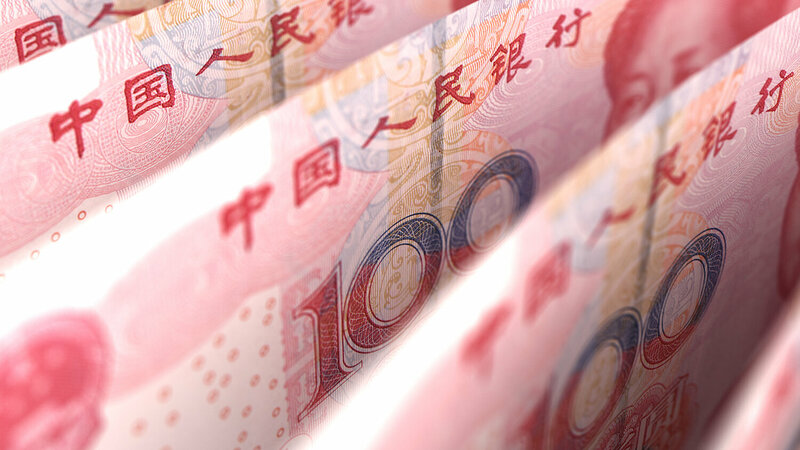 The People’s Bank of China called the change a one-time adjustment and said it will strengthen the market’s ability to determine the daily fixing. (NaturalNews) We have been tracking and reporting on the worsening economic situation in Greece now for more than a year, and it appears as though our earlier predictions – that the broke Mediterranean nation would eventually default on bailout loans it received in 2012, under different leadership – will happen. A wave of turmoil is sweeping through sovereign bond markets, setting off the most dramatic gyrations seen in recent years and threatening to spill over into over-heated equity markets. Yields on German 10-year Bunds spiked violently by almost 20 basis points to 0.78pc in early trading on Thursday as funds scrambled to unwind the so-called “QE trade” in Europe, with powerful ripple effects reaching Japan, Australia, Brazil and even US Treasuries.